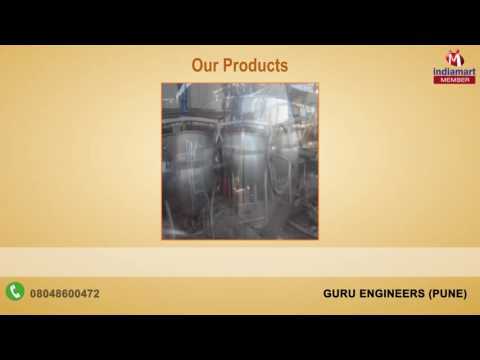 Guru Engineers are manufacturers of food processing equipments, our range of products is known for high efficiency, unmatched quality & wide functionality. Available in both standard and customized finishes, these equipments provide solutions to industries like food, pharmaceutical & engineering sector. We are engaged in manufacturing Food Processing Equipment, Pharmaceutical Process Equipment, Material Handling Equipments, Pharmaceutical Process Equipment, Liquid Filling Machine, PP Modular Belt Conveyor, Material Handling Conveyors, Bucket Elevators, Vegetables Fruits Washers, Steam Jacketed Kettles, Fruit Pulper, Drum Type Blancher, Ribbon Blender, Ginger Washing Machine, Fruit Mill, Pea Podder, Industrial Engineering, Air Receiver, Fruit Washer, PP Modular Belt Conveyor, Bucket Elevators, Dehydration of Onion & Vegetables Processing Plant, Mango & Tomato Processing Plant, Ginger Washing Machine etc.